This great Clarke EX20 carpet extractor comes with a 12" stainless steel carpet wand, along with a 15 foot vacuum/solution hose combo. 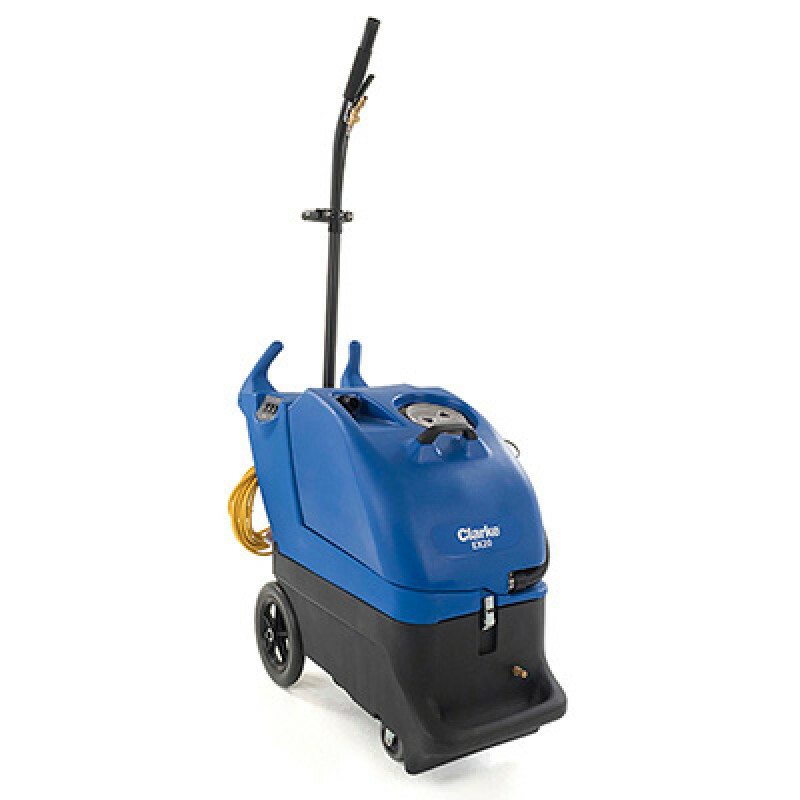 The power cord easily wraps around the cord holders to keep the cord and the wand in place.The Clarke EX20 non-heated carpet extractor features unique onboard storage for all your cleaning tools. 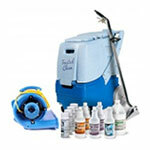 In addition, there is an onboard compartment for storing chemical bottles, hand tools or other cleaning items. The EX20was designed with ease of maintenance and transport in mind. The clamshell design allows easy access for servicing. Finger grips and handle provide assistance when lifting this machine into a vehicle for transport. Large non-marking rear wheels allow for maneuverability and stair climbing. If you're looking for a slightly smaller unit, you might want to consider the Viper carpet extractor at 11 gallons or the Trusted Clean carpet extractor machine at 12 gallons, which can be found in our cold water box extractors category. Float-ball screen protects the vacuum motor. Durable rotomolded solution and recovery tanks. Onboard tool storage for quick and easy access. Cord wraps for storage of power cords. Drain port allows dumping into a drain or commode. Clam-shell design for ease of servicing. Components are recessed to prevent damage. Large, non-marking wheels for maneuverability.